Fight Club O.C. Results | MMA Fighting Events Videos Techniques UFC Fight Picks and News. On Thursday February 24th, Fight Club O.C. by Roy Englebrecht Promotions put together a fight card at The Hangar in the OC Fair & Event Center in Costa Mesa which included MMA and boxing. The fight card consisted of five boxing matches and two MMA match ups. Frank Zepeda from Chingasos MMA was on hand and put together the following write up on the fights. Check it out. Chingasos were thrown all night long as the warriors endured some serious punishment to become victorious. The boxing matches were of superb quality. Nationally represented fighters came together for some great matches. The featured boxing match was a Jr. Welterweight bout between Hector "Teco" Serrano (13-2 5 KO) vs. Aris Amriz (15-1-1 18 KO). This was a non-stop chingaso filled match. Ambriz overcame a hard push from Serrano to take the unanimous decision. Congratulations to Ambriz and his fight camp. 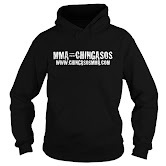 The boxing was entertaining, however, the main reason Chingasos MMA was at Fight Club O.C. was for the mixed martial arts action. The MMA matches were fought in a traditional boxing. The first MMA fight was a 150 lb match up between Carlos "HB Warrior" Garces (Huntington Beach Ultimate Training Center) vs. Isaac "High Risk" Gutierrez (Sub Fighter/Body Shop). Consistent jabs and crosses ruled the majority of the first round. No takedowns occurred as the fighters were content with trading punches. Gutierrez came out with a slight advantage as he connected with more of his chingasos. Garces came out with more emotion and extremely aggressive stalking and pushing Gutierrez backwards. However, Gutierrez had quick counter striking ability and connected with a few strong right hand chingasos. Garces consistent pressure became his undoing as Gutierrez was able to land a tremendous right overhand chingaso that immediately floored Garces. Gutierrez hovered over Garces and began raining down chingasos. Garces could only cover up as he was dazed by the onslaught of pain. Curiously, the referee came extremely close to Garces as if he was ready to stop the fight and Gutierrez stood up straight pausing, seemingly thinking the fight was over. The fight was never stopped and Garces recovered, defended and got back to his feet. A missed opportunity for Gutierrez. Garces was unfazed by the power of Gutierrez and continued to pressure. Garces finally scored a takedown and started some ground and pound. Gutierrez briefly attempted an armbar but Garces shook it off. Gutierrez survived the desperate try of a man knowingly losing the fight. Isaac "High Risk" Gutierrez won the unanimous decision. The judges had it scored 30-27, 30-27, 29-28. This ladies and gentlemen was a true fight with non-stop chingasos. First couple of minutes the fighters were feeling each other out with light jabs and low kick by Alvarez. Alvarez being the aggressor landed a high kick to Salgado's face, and that seemed to awaken The Bull. Salgadoʼs countering skills were amazing and he quickly landed a round house right hand the dazed Alvarez. He quickly gathered himself and clinched with Salgado. Alvarez's raw fighting demeanor came out some more as he consistently pounded Salgadoʼs lead left leg. Salgado being in pain started to defend the leg kicks more and caught one kick from Alvarez , he then countered with some right hands. Alvarezʼs kicking worked as Salgadoʼs hands lowered and Alvarez landed a great right hand chingaso to The Bulls face. Again The Bull immediately countered with a hard right round house that floored Alvarez and lead to some ground fighting. Standing up again, Salgado sweeps his opponents legs and jumps on top of Alvarez to control the rest of the round on the mat. The Outlaw Alvarez feeling the urgency to win the fight turned up the pressure and threw every chingaso in his arsenal. Kicking and punching Salgado. However, Salgado seemingly timing his opponent, finally saw an opening and landed a perfect right cross on the chin of Alvarez. Crumbling to the ground, not coherent the referee called an immediate knock out at 2:35 of the final round. Good job with the wrap up Frank! A big thanks to Fight Club O.C. and Roy Englebrecht is also in order for having us. Make sure to check out one of their events if you get the chance.